When you are purchasing a property your solicitor will carry out a local authority search which will reveal if the property is in a conservation area. Thompson Smith and Puxon Residential Property solicitor, Laura Finnigan, discusses the implications of this. Conservation areas are designated by the local authority because of their special architectural or historic interest. 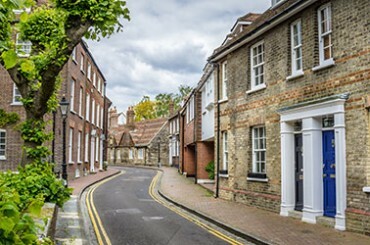 If your property is in a conservation area you may need additional permission from the Council before making alterations to the outside of your property which if the property were not in a conservation area may not require planning consent (this includes changing the windows, adding satellite dishes, solar panels, conservatories, cladding etc). Demolition or part demolition of a property in a conservation area will usually require prior consent from the Council. In addition, trees in a conservation area are protected and the Council must be notified six weeks in advance of any work you intend to carry out to a tree, this includes pruning or cutting down a tree. If your property is in a conservation area and you are considering carrying out work to your property but are not sure as to whether or not permission will be required, we would always recommend that you contact the Council in the first instance for their guidance. Again, if you are unsure as to whether your property is in a conservation area speak to the Council who will be able to confirm this information. For general advice in relation to any residential property matters, including planning permission requirements, please contact Laura Finnigan at Thompson Smith and Puxon on 01206 217 020 or by email at laura.finnigan@tsplegal.com.